Payroll is a quintessential element of an organization’s framework and managing it requires specialized expertise. Small businesses often grapple to deal with the complexities of payroll management due to limited resources. Catering to this need of small businesses and to assuage them of their concerns, Payroll Vault was established to serve as an internal payroll department allowing businesses to focus on their core tasks. “Our mission is to Re-Define payroll for small businesses,” remarks Sean Manning, CEO and President, Payroll Vault. Payroll Vault’s services and solutions corroborate the verity of the statement. The offerings of Payroll Vault are backed by a dedicated and accessible service team, which does not hesitate in assisting the customer. Payroll Vault’s premium level service and ‘Full Service Payroll Specialists’ offer highly personalized payroll solutions that are compliant with the laws and regulations and fit perfectly with every organization’s varied requirements. The adept payroll specialists smoothly and efficiently help organizations with payroll services, tax reporting, and employee management tools. In addition, Payroll Vault’s specialists streamline the new hire reporting processes, while ensuring paperless payroll options and data entry. “We approach the introductory client meeting as a consultant and advisor,” says Manning. 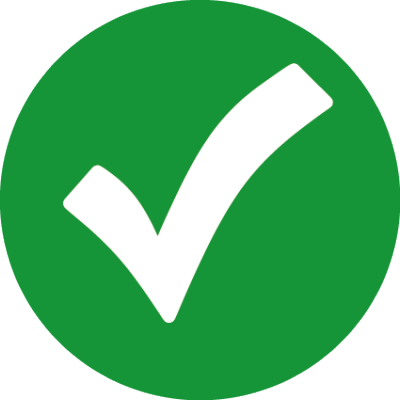 Payroll Vault is focused on educating employers on business best practices. “In the advisory role that we undertake, our ultimate goal is to enhance the employee and the employer satisfaction,” he states. Payroll Vault’s services and solutions are tailored to meet the demands of small scale businesses and offer the right mix of technological expertise, customization, flexibility, and scalability. Payroll Vault’s ‘HR Outsourcing Services’ leverages cloud-based technologies to build a robust and innovative HR solution. Through their ‘HR Outsourcing Services’ portal, organizations can access variegated items that includes sample job descriptions, interview questions, discipline templates and many others documents and HR answers. 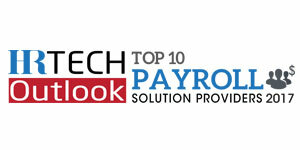 Another innovative solution that inhabits the firm’s ‘services and solution’ niche is Payroll Vault Timekeeper. Integrating and optimizing the agility of cloud solutions, the Payroll Vault Timekeeper eases the time keeping process by co-mingling employee punch-in data with time clocks; creates a portal to visualize employee log-in and log-off data; and enables supervisors to edit the data online. Riding on the features delivered by Payroll Vault Timekeeper, organizations control and reduce labor cost, eliminate estimated punch times, minimize payroll errors, and reduce data collection time. Furthermore, Payroll Vault’s ‘Pay-as-you-go Workers’ Comp’ offers–as the name suggests–pay-as-you-go remuneration methods to organizations. ‘Pay-as-you-go Workers’ Comp’ eliminates the necessity of premium deposits, reduces audit exposure, and boosts overall business flow. The benefits of this service include easy coordination of workers’ compensation, lessening of file transmission fees, and reduction in audits. Payroll Vault aims to achieve continuous advancement in the landscape along with a stable growth, centered upon the set of values promised to its clients. An essential maxim of their roadmap manifesto, the firm endeavors to strengthen the existing data security and compliance structure while adopting newer technologies and restructuring organizational framework. “Change is a common word today and everything around us is dictated by technology. It’s time that we Re-Think payroll,” Manning concludes.